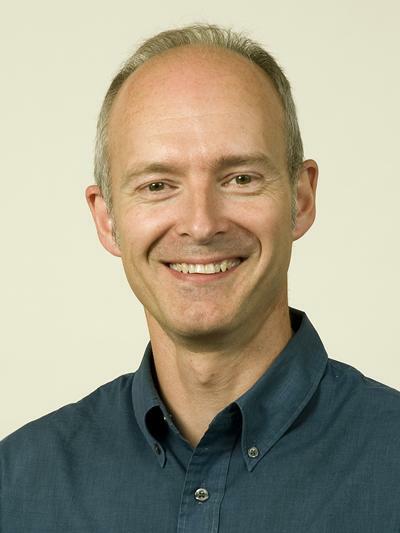 Dr Ian Harding is Associate Professor within Ocean and Earth Science, National Oceanography Centre Southampton at the University of Southampton. Palaeoclimate change and palaeoenvironmental reconstruction using micropalaeontological (palynological) proxies, especially in the Paleogene. Development and integration of dinoflagellate cysts, palynofacies analysis and geochemical indices as palaeoceanographic proxies; special interest in hyperthermal events and greenhouse-icehouse transition. Sedimentological and micropalaeontological investigation of taphonomic processes involved in exceptional fossil preservation, especially high resolution analysis of laminated and finely bedded sediments. Harding, I., Eldrett, J. S., Xuan, C., & Wilshaw, R. (Accepted/In press). A new high northern latitude dinocyst-based magneto-biostratigraphic calibration for the Norwegian-Greenland Sea. Newsletters on Stratigraphy. Schouten, S., Bohaty, S. M., Houben, A. J. P., Bijl, P. K., Sluijs, A., Eldrett, J. S., ... Brinkhuis, H. (2009). Evolution of sea surface temperatures in the Eocene and Oligocene reconstructed using organic proxies (abstract of paper presented at: 19th Annual V. M. Goldschmidt Conference, Davos, Switzerland, 21-26 June 2009). Geochimica et Cosmochimica Acta, 73(13, Supplement), pA1184. Gregory, F. J., Armstrong, H. A., Boomer, I., Gersonde, R., Harding, I., Herrle, J. O., ... Young, J. R. (2006). Celebrating 25 years of advances in microbiology: a review. Journal of Micropalaeontology, 25(2), 97-112. Eldrett, J. S., Harding, I. C., & Firth, J. V. (2004). Synchronous Eocene/Oligocene high latitude cooling: ODP Site 913, Norwegian-Greenland Sea. Newsletter of Micropalaeontology, (70), p.53. Ellegaard, M., Daugbjerg, N., Rochon, A., Lewis, J., & Harding, I. (2003). Morphological and LSU rDNA sequence variation within the Gonyaulax spinifera-Spiniferites group (Dinophyceae) and proposal of G-elongata comb. nov and G-membranacea comb. nov. Phycologia, 42(2), 151-164. Robinson, S. A., Andrews, J. E., Hesselbo, S. P., Radley, J. D., Dennis, P. F., Harding, I. C., & Allen, P. (2002). Atmospheric pCO2 and depositional environment from stable-isotope geochemistry of calcrete nodules (Barremian, Lower Cretaceous, Wealden Beds, England). Journal of the Geological Society, 159(2), 215-224. Sun, G., Akhmetiev, M., Dong, Z. M., Ashraf, A. R., Sun, Y. W., Bugdaeva, E., ... Zhou, Z. L. (2002). In search of the Cretaceous-Tertiary boundary in Heilongjiang River area of China. Journal of Geoscience Research NE Asia, 5(2), 105-113. Gill, F., Little, C. T. S., & Harding, I. C. (2002). Miocene cold seep communities from the Caribbean region. Palaeontology Newsletter, 51, p.127. Lewis, J., Ellegard, M., Rochon, A., Mudie, P., & Harding, I. C. (2001). Cyst-theca relationships of Bitectatodinium tepikiense (Dinophyceae). European Journal of Phycology, 36, 137-146. Harding, I. C., Armitage, J., Hollingworth, N., & Ainsworth, N. (2000). Sourcing mudsprings using integrated paleontological analyses: an example from Wootton Bassett, Wiltshire, England. Geological Journal, 35(2), 115-132. King, A., & Harding, I. C. (2000). Temporal separation of Palaeocene/Eocene boundary events in the North Sea Basin. Geologiska Foreningens i Stockholm Forhandlingar (GFF), 122, 88. Harding, I. C., Trippier, S., & Steele, J. (2004). The provenancing of flint artefacts using palynological techniques. In E. A. Walker, F. Wenban-Smith, & F. Healy (Eds. ), Lithics in Action: papers from the conference Lithic Studies in the Year 2000 (pp. 78-88). (Lithic Studies Society Occasional Paper; No. 8). Oxford, UK: Oxbow books. SOES3004 / SOES6022 Microfossils, environments and time.